My father came to Beetor in 1964, but the farm hasn’t been sold for 350 years. This fact has helped shape a strong sense of stewardship, of wanting to leave the land in good stead for the next generation. 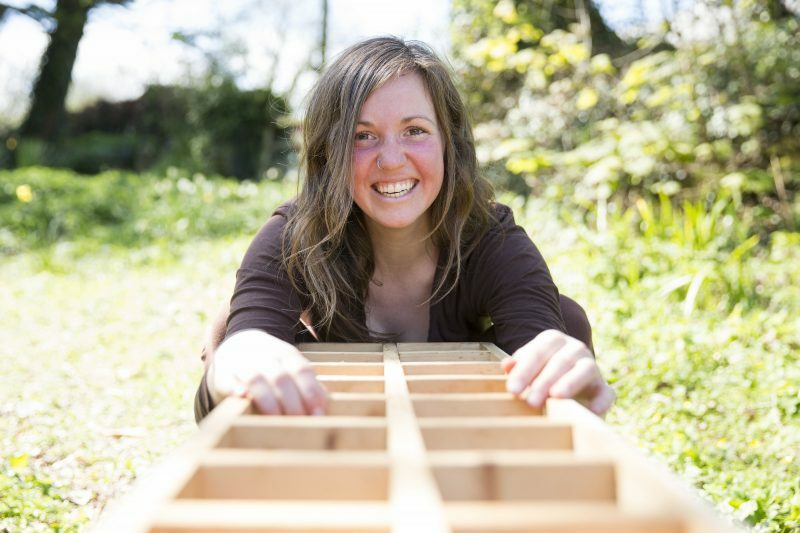 The farm is still a working farm, so while a balance has to be struck with making a living, wildlife conservation is now my primary focus and passion. In the bleak depths of winter I look forward to the first Bluebells, the spiky leaves of Yellow Rattle and of discovering colourful orchids popping up in new places. 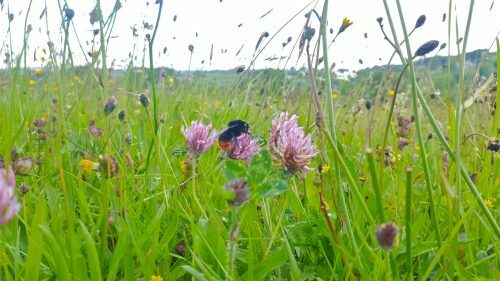 I’m enjoying the evolving journey of learning about my meadows and their management, and it’s a thrill to see the farm come to life year-on-year. 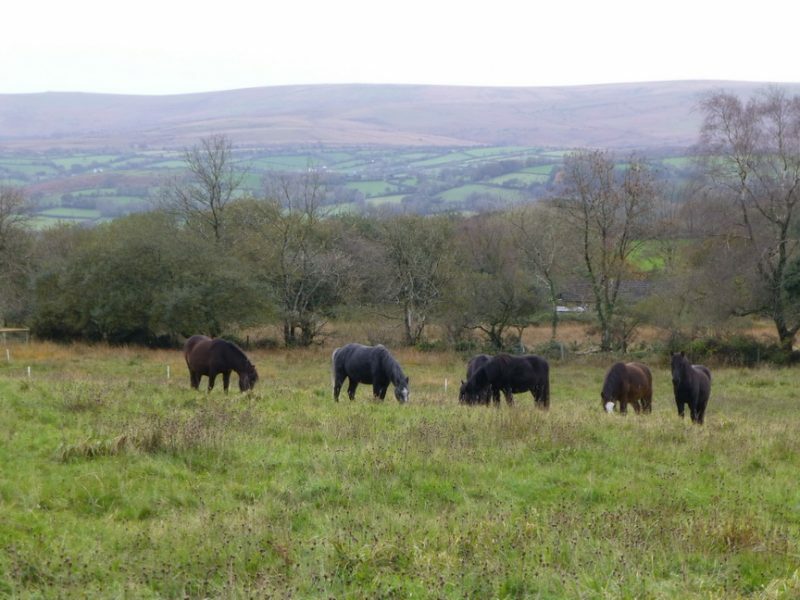 Beetor’s best meadow is Great Cowhill Down, a 6.65 acre, infertile, dry field, formerly a down, with an exposed location at 280m elevation in the Dartmoor National Park. It was cleared of most of its boulders in the 1970s, and then subsequently cut for hay/silage during Midsummer each year. As the furthest field from the farmstead it has tended to be one of the last cut, and it has also escaped too much ‘improvement’. Small amounts of inorganic fertiliser were applied most years. 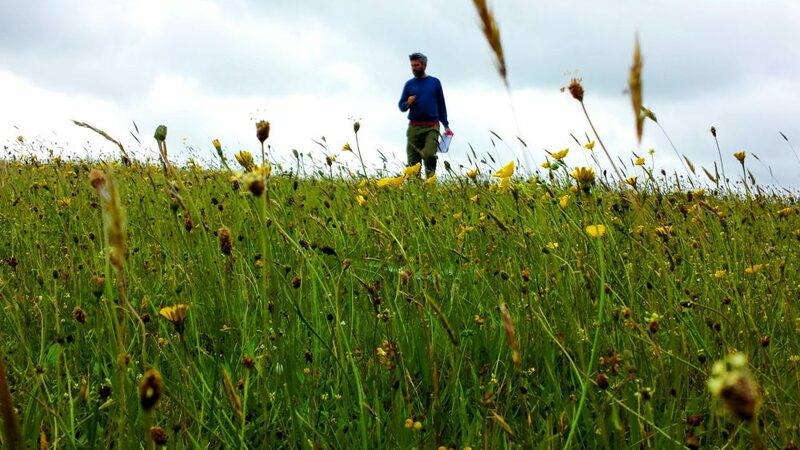 The farm has been in a Natural England Higher Level Stewardship agreement since 2011, and the field is now managed under a Haymaking option. The cessation of all fertiliser applications. Flailing of bracken around field edges, and pulling by hand occasional broad-leaved dock and creeping thistle. Initially an early-August cut, but for the last couple of years a late-August/early September cut for haylage to enable orchid seeding. Aftermath grazing by our Gelbvieh X beef cattle during October. No Spring grazing is necessary due to the field’s low fertility. 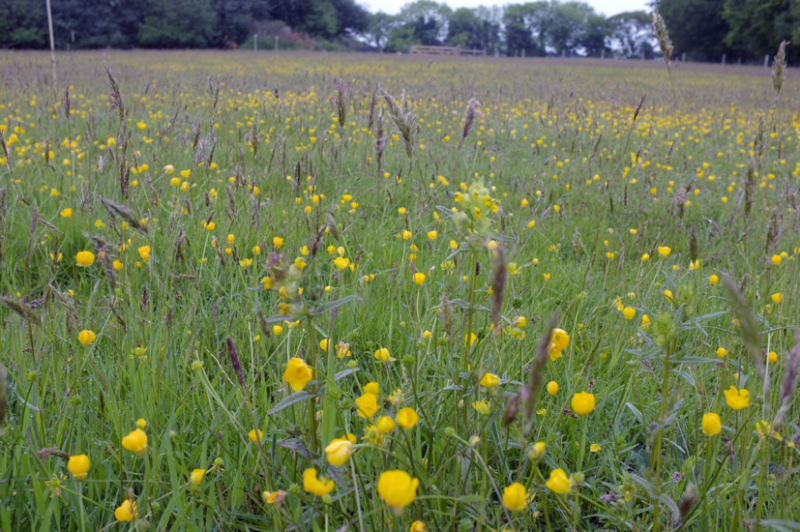 The field is being allowed to regenerate naturally, without the introduction of green hay/seed. While the field is definitely still in transition it has changed considerably over the last seven years, from being a barren field that didn’t produce much silage, to a hay meadow with an increasing abundance of unimproved, species-rich dry grassland indicators and finer grass species (and it certainly produces even less now!). The presence of three orchid species – Southern Marsh, Heath Spotted and Greater Butterfly is floristically noteworthy, but also for me one of the greatest delights of summer. In the future, with continued late cuts, the frequency of these orchids is likely to increase, as will that of other late seeding species such as Knapweed. 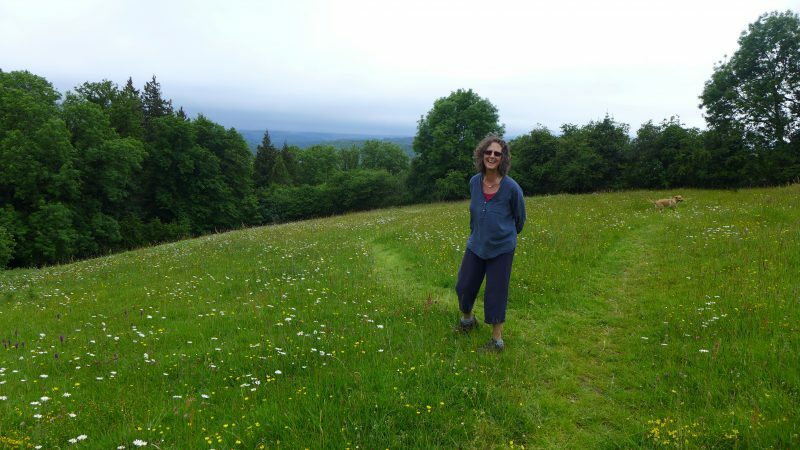 About 60 acres at Beetor are now set aside as a mosaic of hay meadow, species-rich pasture and woodland.